Contrary to popular belief, there are various tools for financing a manufactured home. As a potential home buyer, you may be considering manufactured homes. They are often more affordable. Therefore, if your household income is on the lower side, buying a manufactured home could be a good decision. The question you may be asking yourself is: How can I finance one? After all, they are different from mobile homes, modular homes, and site-built homes. Below, you will find options for financing a manufactured home. The traditional mortgage is still can option for financing a manufactured home. As a prospective home owner, you are aware of this option of getting a mortgage. However, you may only be familiar with it in terms of a site-built home. When it comes to a manufactured home, there are requirements for getting a traditional mortgage. The home is required to permanently sit on the land you will purchase. By law, the manufactured home must be considered “real property” to qualify for a traditional loan. With this option, you will benefit from lower rates and better terms. You will also qualify for tax deductions. Look into whether or not you can qualify for a traditional mortgage when financing a manufactured home. In contrast to traditional mortgages, a chattel mortgage is also an option when financing a manufactured home. If the home you are considering is considered “personal property”, you will finance with a chattel mortgage. Cars and household appliances are also considered personal property. If the home is going to sit on rented or leased land, it will be considered personal property. Therefore, it can be financed with a chattel mortgage. It is just another money saving tip. This type of mortgage is not always obtained easily. Because of this, dealers typically provide financing through corporate-owned financial institutions. If you are able to obtain a chattel mortgage, you will have higher interest rates and shorter terms. Chattel mortgages are suitable when financing a manufactured home that is classified as personal property. Another option for financing a manufactured home is an FHA loan. FHA loans are particularly applicable for home buyers with bad credit. If you do not have a hefty down payment, FHA loans may be a good option. Even with previous credit mishaps, you can qualify for this type of loan. With it, you will have a lower down payment. You will also receive lower interest rates. However, there are still requirements for receiving an FHA loan. Firstly, the manufactured home must permanently sit on the land. Secondly, it must have been built after June 15, 1976. If you meet these standards, FHA loans are an option for you. A personal loan is also an option for financing a manufactured home. Unlike FHA loans, personal loans require good credit. This is for an apparent reason. After discovering your personal loan eligibility, you are all set to go. Imagine you get an unsecured personal loan for a manufactured home. That loan is not directly connected to your manufactured home. Now, imagine you cannot pay the loan. 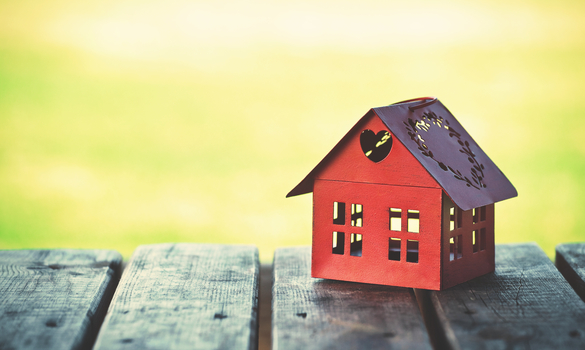 Since there is not a home-loan connection, the lender cannot foreclose on your home. Because of this, lenders want to ensure you will be able to pay off the loan. With this financing option, you will have a higher interest rate to pay. Therefore, only look to personal loans if you do not qualify for a mortgage. In this case, they can be a great option for financing a manufactured home. If you are a veteran, applying for a VA loan is an option for financing a manufactured home as well. For this loan, the home must fall under the category of “real property”. You are able to buy both a manufactured home and a lot simultaneously with a VA loan under one condition. This condition is that the home is already placed on the land. Additionally, terms do not surpass 25 years. Due to shorter terms, you will pay a higher amount each month. However, it is still an option for financing a manufactured home. When finances are not as great as they should be, a manufactured home is a beneficial alternative to a site-built home. There are various ways of receiving financial aid when purchasing a manufactured home. Firstly, you may qualify for a traditional mortgage. Secondly, a chattel mortgage may be available. You can apply for an FHA loan as another option. A personal loan is a way to obtain financing as well. Lastly, you can apply for a VA loan if you are a veteran. These are all options for financing a manufactured home.